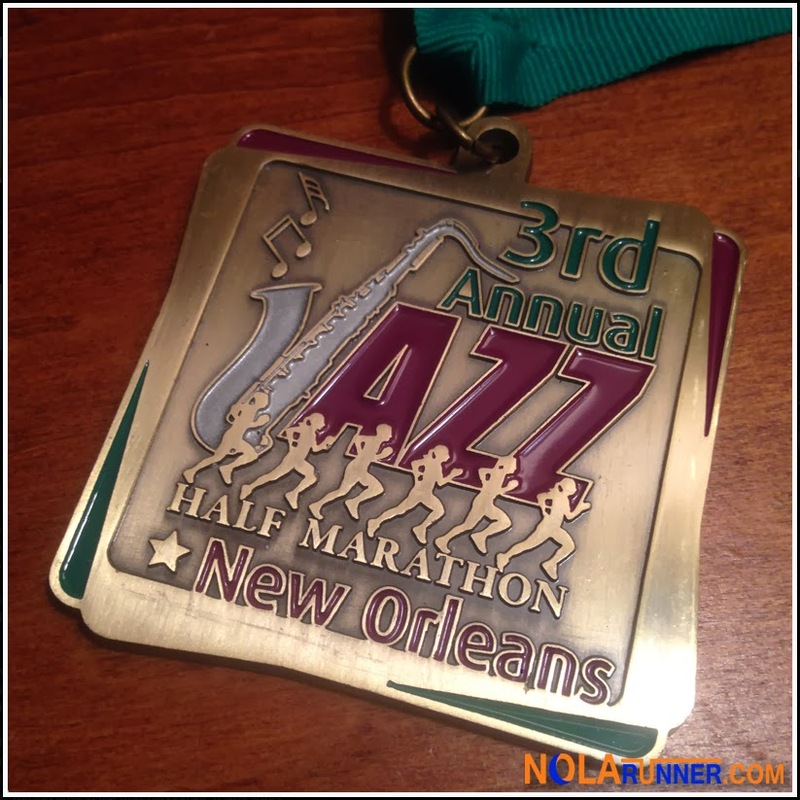 This Saturday morning, October 12th, downtown New Orleans will be overrun with participants in the fifth annual Jazz Half Marathon and 5K. Race time is 7am, but preparation for runners started months ago with training and hard work that has gotten them to this point. Having run the first four installments of the Jazz Half Marathon, I’m excited to once again be a part of this year’s event. Speaking from experience, there’s numerous highlights of the course that will make all the miles runners have logged up to this point worth it; however, to stick with the numeric theme of the race, I’ll limit my list to five. The best part of the race is the fact that it has always benefitted the Cancer Program at Children’s Hospital. An uptown institution for decades, Children’s Hospital is the go-to location for area parents to bring their kids when medical needs arise. Knowing many friends who have had the hospital touch them in some way, it’s a great organization to give back to. The Cancer Program specifically treats malignancies and blood disorders in area youth. Check out more info on the program HERE. In recent years, as part of their affiliation with Children’s Hospital, WDSU Channel 6 has come on board as the primary media partner for the race. A really cool element of their partnership is the channel doing a live broadcast from the start and finish lines, as well as from different points along the course. Be sure to smile big as you pass the Channel 6 Studios just past mile 3, and again as you enter and exit Audubon Park at roughly miles 7 and 9 where remote broadcast locations have been set up in the past. Also, set your DVR to record the broadcast to relive your finish while recovering from the race. I’m not a fan of out-and-back courses, and I don’t know many runners who are. 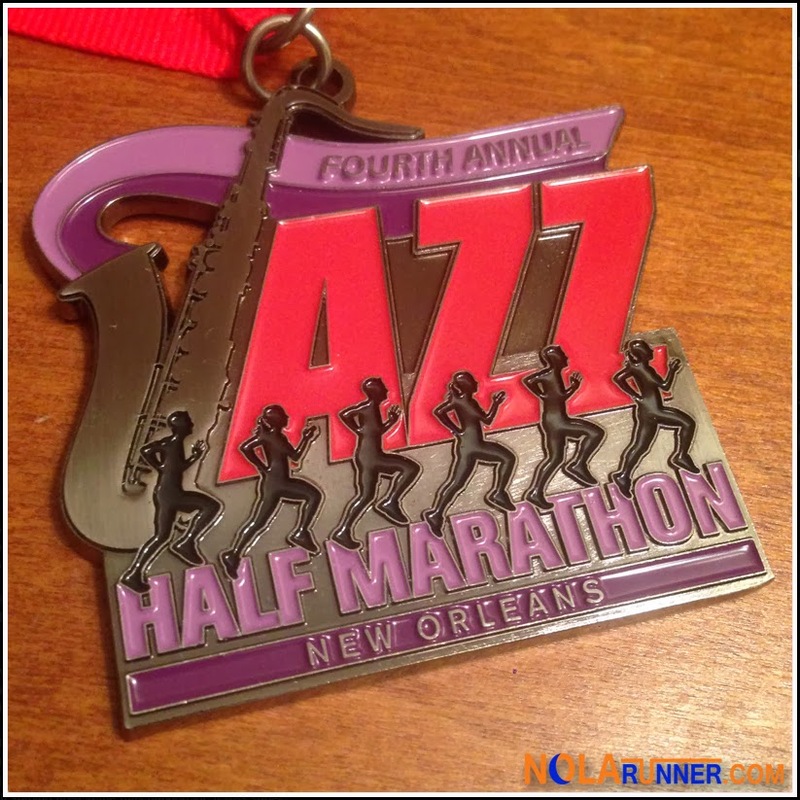 The one exception I have encountered is the course for the Jazz Half Marathon. After completing a loop through the central business district, runners get to trek up and down majestic St. Charles Avenue. The street may be rough to traverse with the ever present New Orleans pot holes, but that's made up for by the view of the amazing residences that grace its boundaries. Keep an eye out for the lead runners heading to the finish as they keep a 5 minute pace well ahead of the majority of participants. Also, spectators get to see runners twice on their journey. Should you plan on having friends or family come out to the route to cheer you on, warn them that major intersections get moderately crowded, with the entry to Audubon Park being the most slammed. There’s nearly 4 miles along the route for spectators to pull up a lawn chair and get the best spot possible. A break in the middle of the out-and-back on St. Charles Avenue comes when runners get to loop the smooth asphalt path of Audubon Park. Scenery on this part of the course includes a good view of the front gates of Audubon Zoo, multiple water stops, and various unaware morning joggers looking at you with a face full of confusion. Also, take advantage of the shade provided by the graceful oaks of the park as they give respite from the rising sun. Once you run out of the park, you’ll have it shining in your eyes for nearly 4 miles to the finish. The finish line of the Jazz Half Marathon continues to be on Camp Street at Lafayette Square. As a reward for completing the race, runners are treated to local delicacies that in the past have included jambalaya, soft drinks, and copious amounts of beer. My favorite post race delicacy is at this race every year, because one of the sponsors is Blue Bell Ice Cream. They pass out frozen fudge ice cream bars and fruit bars to participants. If you want to meet up after the race, feel free to stalk the Blue Bell trailer. I’ll hit it at least twice, and not make any apologies. 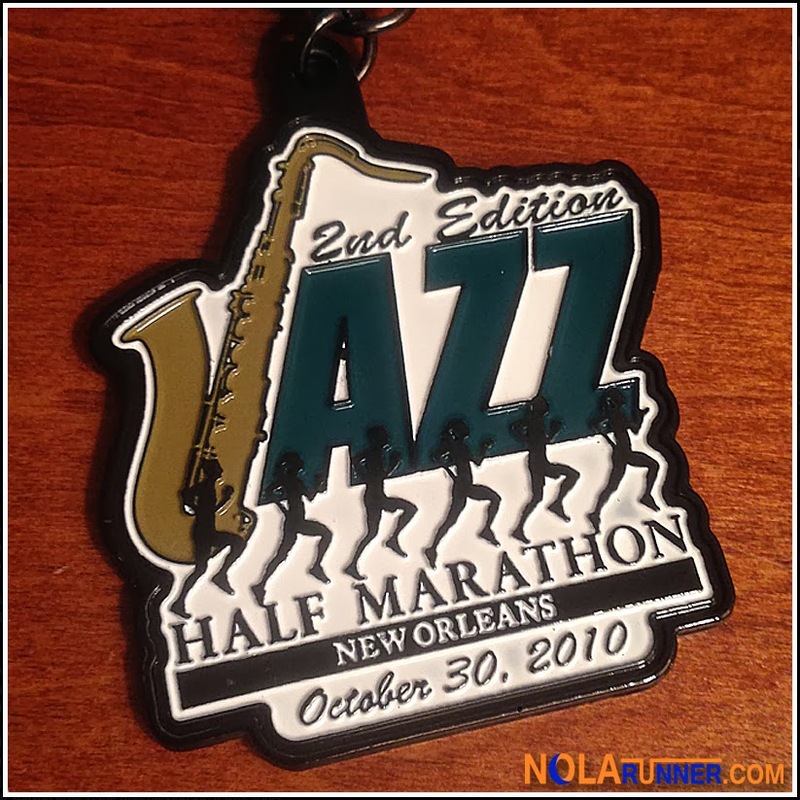 Best of luck to everyone who will be out there for the fifth annual Jazz Half Marathon. 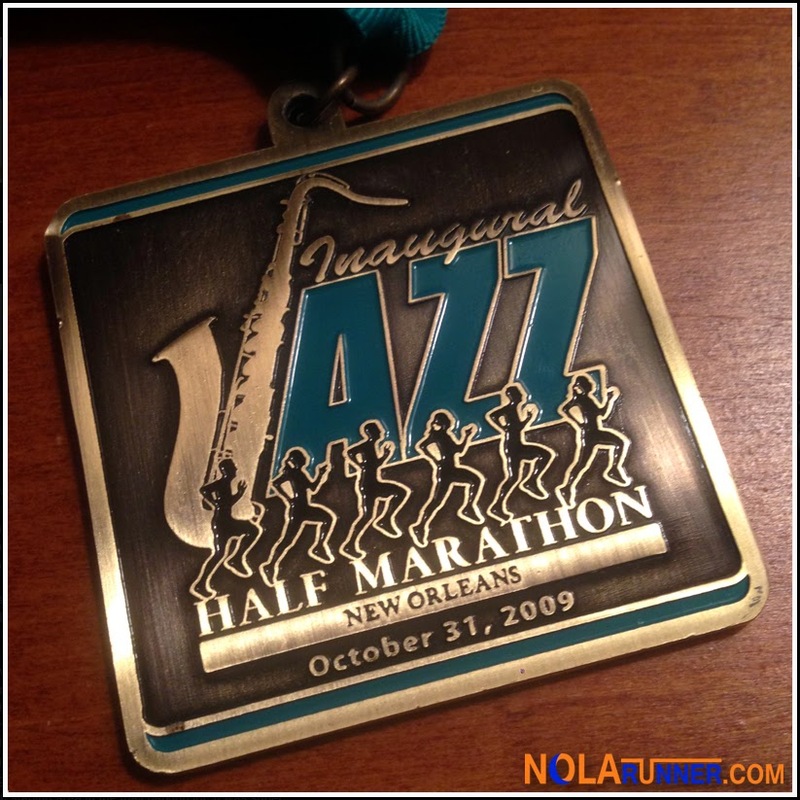 Whether it’s your first 5K / 13.1, or if you’ve completed every Jazz Half that’s ever been, know that you’re getting to take in the best of what NOLA’s running community has to offer. Should you be a member of that latter group and you have other highlights that you think I missed, be sure to leave them in the comment section below. I'm really going to miss this race this year. I wish they hadn't moved it up to mid-October. The good news about St. Charles is that parts of it have been repaved in recent years (which I'm sure you know from previous races that follow the same course) so it shouldn't be too bad. Just be aware that the street is cambered. It never bothered me until last year's race, when I had been dealing with some IT band issues on my right side. I absolutely love this course for the spectators and getting to see friends not once, but twice on the course. It's also fun to watch the lead runners fly down the opposite side of the street. But most of all, I've loved participating in this race because of the ties with Children's. That hospital has done great things for the children in a few families I know and I'm always glad to support them. Have a fun race this weekend. I'll be cheering from AZ! Yes Katherine, you're right. There is a gradient on the street, and can get to runners with any ITB / knee issues. I'd suggest hugging the curb closest to the median as much as possible. This is where it seems to be the most level and least abrasive. You're also spot on with the course and great cause it benefits. You'll be missed this year at the finish. I'll have an extra fudge bar in your honor.